It’s a Bird! 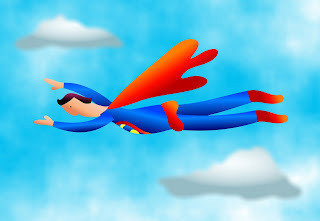 It’s a Plane! It’s A Writing Superhero! So there I was, backed into a corner with a flailing manuscript. Despite feedback from writing partners, critique groups, and all my usual best efforts, it still needed something. But what? If you’re sending out your manuscript to agents and getting lots of requests for a full but no offers of representation, it might be beneficial to get an editor. Chances are good, you’ve probably got an interesting premise—yay! You’ve written a compelling query, too—yay! And your writing in the first ten pages—the standard number of pages in a query—must be great. Double yay! But somewhere past those ten pages and query, the writing’s falling apart—boo! An editorial letter, three to five pages of feedback, might just save the writing day for you, clearing up the plot problems or character snafus that are keeping those agents from committing. So ask your published writing friends, preferably friends who are published where you want to be published, for editor recommendations. The cost of an indie editor varies widely, depending on the manuscript length, from reasonable ($50) to quite expensive ($4,000) so you’ll want to do your homework before you make a commitment. If you have an agent who’s sent your manuscript out on round after round after round of submissions and it’s not selling, it might be time to call an editor. When you and your agent have worked on the story and firmly believe it’s ready, when you both love the story, and especially if your feedback is very basic, it can be hard to see what’s stopping the sale. A fresh pair of professional eyes can open your eyes to what needs revision. An agent may know of editors that clients have used and make that recommendation, but again, it’s often enough to put out the request to friends in your genre. Reliable names come up on a reliable basis. And finally, if your manuscript is winning multiple contests in professional writing organizations, like RWA or SCBWI, but then going nowhere fast, an editor might be able to get that story over the finish line. It’s possible that the manuscript’s sagging somewhere in the middle and you need feedback on the whole story. That’s what a superhero editor can do for you: look at the whole story and make suggestions for improvement. And believe me, it’ll feel like he—or she—has saved the writing day! She'll be attending an SCBWI conference in Decatur, Georgia, on March 10th--12th. She'd love to see you there! We have a lot of children's and YA writers that read this blog and take our classes. If you're writing for this audience (or if you have kids/grandkids), I want to tell you about an amazing picture book I read a couple years ago, and recently re-discovered while I was cleaning out my daughter's bookshelf. 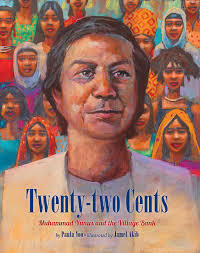 Children's author, Paula Yoo, wrote a beautiful book, Twenty-two Cents, about Muhammad Yunus and his work in Bangladesh to help people borrow money, as low as 22 cents, and pay it back without huge interest rates. His inspiration came from the poverty he witnessed as a child in Bangladesh. Before he started his village bank, he was an economics professor. Most people used the money he loaned them to start their own businesses and become self-sufficient. He is responsible for loaning more than ten billion US dollars in micro-credit and empowering people, especially women, to take care of their families and break the cycle of poverty. Why did this book bring tears to my eyes? I was touched by this man and his story and how Paula Yoo was able to put such difficult concepts into ideas kids could understand. The wonderful illustrations by Jamel Akib just add to the book’s beauty. That is the thing about children's authors--they are so talented and take so much time with sentence structure, word choice, and imagery--very similar to poets. They are writing about difficult topics in terms kids can understand. Illustrators are creating works of art, and Twenty-two Cents is a perfect example of all of this. When I had my blog with my critique group, we were lucky enough to have Paula Yoo write a few things about this book for a post, and I wanted to share an excerpt with you today, too. "But in flipping through the pages, I suddenly realized how much hard work went into the making of this book. Writing a children’s picture book biography is like sculpting a statue. At first, you’re presented with a giant, heavy block of marble that you must slowly chip and chisel away in order to carve a shape out of nothing. You can’t carve a statue out of marble overnight. It takes a lot of time and patience. But if you work steadily, a shape soon emerges. . .
"After all that work, I still had to make sure there was a compelling and interesting STORY about a character that readers would root for and care about. So I re-read and revised the manuscript according to Muhammad Yunus’s emotional journey from a compassionate child to an adult activist determined to eradicate poverty from the world. How could this book about such a complicated topic (micro lending) and epic theme (battling poverty) resonate with children? If this book were a sculpture, I would now be polishing it into a high sheen with this final revision process. "In the end, I finally held what was a very slim and compact 32-page picture book in my hands. But each word and each image represented months and even years of hard work to tell Muhammad Yunus’s life story in the best way possible. The book felt light in my hands, but I knew its topic was epic in weight. I was finally able to step back and admire the final shape that had emerged from this book." I know you've heard that one of the best things you can do as a writer is to read. You can receive an entire workshop through reading Twenty-two Cents or other books you love. Study the language. Look at how the authors chipped away at the topic. See how they introduced characters and themes. When you read, love the story, but also pay attention to the artistry you're enjoying at your fingertips. 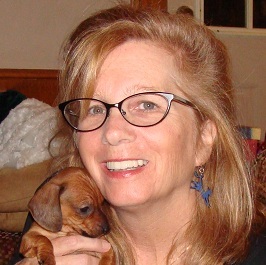 Margo L. Dill is a writing instructor, editor, and children's author. Check out more at http://www.margoldill.com or sign up for her novel writing course here. Just a few of my furry clients. Recently a friend interviewed me for a video he was putting together for college grads hoping to start a career in the writing and publishing industry. Because I mostly freelance (occasionally I’ll take a contract job where I go on site somewhere for a few months) he was curious about the different ways I bring home a paycheck. I think he was surprised to find that a lot of what I do falls more under the editing and proofreading umbrella, because it’s a great way to earn supplemental income. One of my main contract jobs is the calendar editor for a local magazine, which requires a lot of compiling data, entering it into our system, and then turning that content into places the readers go for things to do during the week, weekend. Other times I turn copy points from advertisers into sponsored content. Or I proofread and fact check directories on the website for extra cash. I know a lot of writers who don’t just write as a way to bring in the income. Some teach classes (in person and online here for WOW! ), some do manuscript editing or editing for websites and magazines, some work in bookstores, etc. But me, I took on a job not too long ago that has nothing to do with writing but brings me tremendous joy each day. I became a dog walker. Many of you already know I love dogs. If you follow me on social media I gush over my two constantly—their funny little personalities keep me entertained through the day as I’m working from home and get lonely sometimes. Last fall I got an assignment for a regional magazine to interview a pet sitter who offered wedding day services for pet owners. I loved the idea for her business so much, and was so impressed with her credentials, that I hired the company a few months later to watch my own dogs when I went on vacation. While scrolling on Facebook not long ago (because that’s what we writers love to do during periods of procrastination!) I noticed the company was looking for mid-day dog walkers in my area. “Hmm,” I thought to myself. “I’m usually around mid-day and that could be a good way to pick up a little extra cash each month.” I mulled it over for a few days and finally sent the owner and e-mail. She got back to me immediately for a meeting, as she was about to have a baby and trying to get her team together. So. 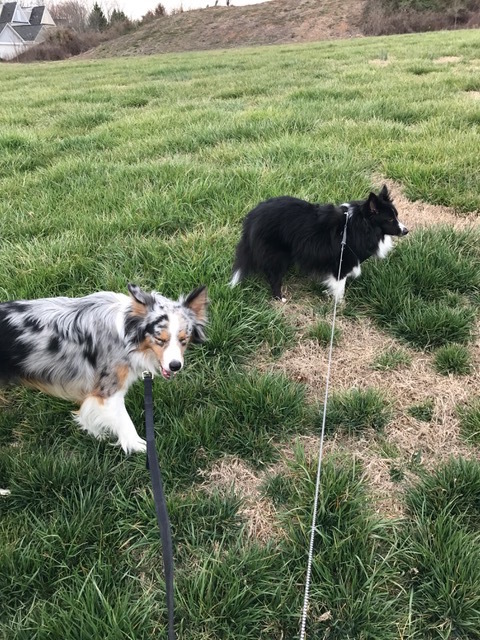 For the past month, I have become a full-fledged dog walker and pet sitter. Business is booming, and with my regular writing clients and growing list of pups who need mid-day walks while their owners are at work or on vacation, I’m keeping busy. And keeping fit. When you do two to three dog walks a day several times a week you’re going to lose some weight. So there’s that. While we’re out walking I get to marvel in the beautiful weather we’ve been having, enjoy the happiness of the dogs (and sometimes cats!) as I walk through the door to see them, and have lots of extra time to think about storylines I’m working on while spending time with a whole host of energetic and unique animals. It’s been an uplifting experience. As a writer, how do you make extra money? I’d love to hear about your own endeavors, because as we all know, strictly writing doesn’t always pay the bills! 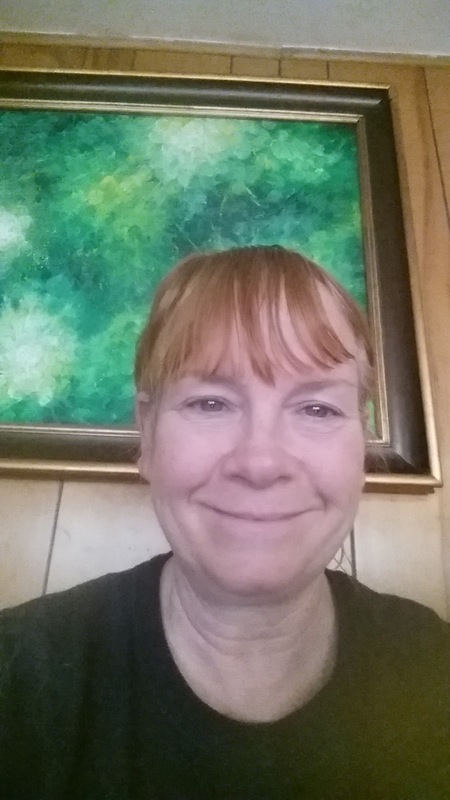 Renee Roberson is an award-winning freelance writer and editor who is always looking for extra ways to make money to support her household of budding musicians and their various instruments and music lessons. Find her online at FinishedPages.com. What about life as a writer? Do you take the time to thank those who write reviews or help spread the word about your work? Whether it be a blog post or a novel, without the help of word of mouth, your marketing plan is going to fall short. Do you use google alerts to make sure you don't miss what is being said about you online? How do you get in touch and say those two little words? When you send someone a copy of your book, do you include a hand-written thank you card asking the person to leave a review? What sorts of things have you implemented or should you implement so you don't forget those two little words? we can encourage this behavior by in-turn thanking the reviewer. I often receive a thank you or a 'like' on Amazon after reviewing a book or product. Do you make this a common practice in your writing life? Gratitude isn't always a natural thing in today's society. There's often a feeling of entitlement. How do you become more thankful in your life? If you are thankful already, what suggestions or tips do you have for others? I choose my attitude each day; I can be thankful for what I have or I can choose to be sad about what I don't have. 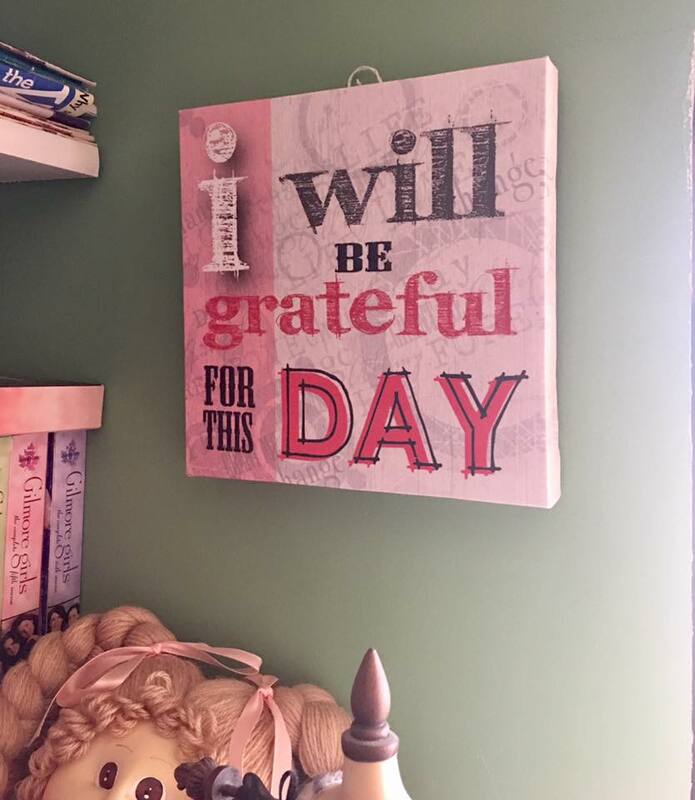 I CHOOSE GRATITUDE! Recently, my critique group noticed that one person's chapter just seemed to be dragging. That was an unusual problem for this particular writer but there was no doubt about it. Although dialogue was clever and his main character still captivated us, it just felt slow. We spend some time discussing how to speed things up so I was already thinking about the topic when I saw this post by K.M. Weiland. Cut as much narrative and description as possible. This isn't to say that you should write as if the story takes place in a vacuum but this isn't the place to wax rhapsodic about the carpet or the drapes. Make your dialogue tight. When are characters speak, sometimes they have a tendency to go on and on. Make sure every word, phrase and sentence is essential. Cut the dialogue that doesn't move the story forward. Add a time element. 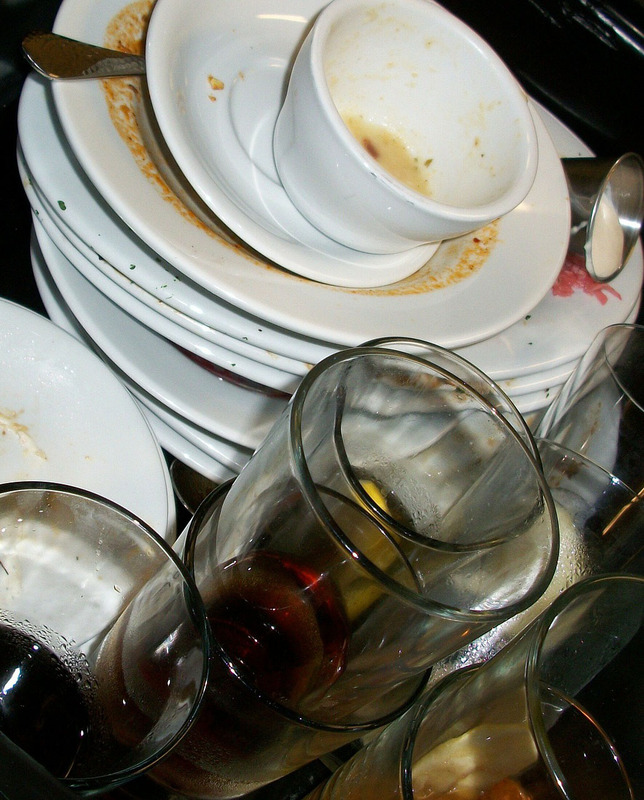 You can give your story a sense of urgency if a particular task must be carried out by X time. One second later and . . . BOOM. 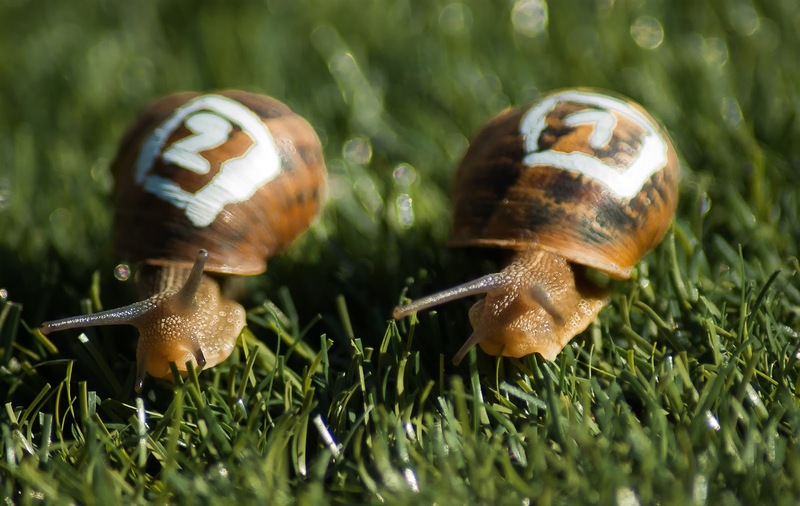 Just as important as speeding things up is slowing things down. This is most often a problem when we are writing a high-impact high action scene. How do you make a fist fight last for two or three pages? Or we are writing one of those important squirm inducing scenes. If this is a your climax or other pivotal scene, you have to give it the weight of a length. Do this by slowing things down. Here are three ways you can do this. Vary your sentence structure and make sure you have some complicated or compound sentence. Don't just write subject verb object. Add in some dependent clauses. Add some internal dialogue or internal narrative. What is going through your characters head as he fights the villain? What does he think each time he lands a punch? This doesn't have to be lengthy but make it matter. This would be a good time to show his regret that it has come to this. Be sure to add some description. Yes, it is going to have to be description that matters but what do you notice about the room as you are waiting to be fired? What catches your eye about the protagonist who has made your life hell? Include details that set the mood and reveal something about the characters. Pacing is a pivotal part of fiction writing. If it is too fast for too long, you will wear your reader out. If it is too slow, you will bore them. Learn to adjust things as needed and make your writing sing. Last time I wrote about letting your words rest before publishing them. While that's still true, some of the resting involves a lot of work. Here's a typical timeline for my blog posts. Five days before deadline, and immediately after hitting save: Finishing my blog post feels great. I think it's a good one! One minute later: Oh no, I forgot to put in that great story about how my cat once wrote a haiku, and placed higher than I did in a poetry contest. So after adding the story, I read it again and realize it's now too long and need to take out something. But every word is a gem, there's no way I can delete anything and maintain the integrity of my writing. Five minutes later: Did I spell the name of my old professor correctly? I look it up online, and realize both the name of the professor and the department are wrong, so I correct them. One hour later: I happen to read an article about tense changes. I edit for consistency. Four days before deadline: Oh no, I repeat myself in paragraphs one and three, and condense them, which takes care of the word-count problem. As I'm reading for the fifteenth time, I notice many of the sentences are about the same length, so I adjust them to make some shorter and others longer to improve variety while maintaining flow. Three days before deadline: This is the worst thing I've ever written. I never should have become a writer. Two days before deadline: Friend wins writing prize in a contest that I also entered. I feel like a failure. One day before deadline: Open computer to read the article, but instead open Netflix (accidentally) to watch a movie about writer who finds a new, successful career in the wine industry. One hour after the movie: Search for new career in the wine industry. Two hours after the movie: Realize that a new career won't work, decide to eat some cookies and binge watch something more uplifting, but can't decide, so scroll through Facebook posts. Deadline day, morning: Re-read article and decide that my main idea is not consistent and two paragraphs contradict each other. Deadline day, afternoon: While teaching thesis statements at school, realize I need to follow my own advice and get rid of everything that doesn't support the main idea. Duh! Deadline day, evening: Assign a symbol to each paragraph by topic. I have three symbols. Determine which message is most effective. Deadline day, late evening: Put symbol paragraphs together and delete those that don't support that topic/have that symbol. Somehow, it works. Finishing my blog post feels great. I think it's a good one! Mary Horner is the author of Strengthen Your Nonfiction Writing, and an adjunct professor at St. Louis and St. Charles Community Colleges. Lookin’ for inspiration in all the wrong places? When you’re stuck in a writing rut, finding great ideas can be as elusive as the spider which was in the corner one second and gone the moment you turned back with a shoe in hand. For 9-1-1 moments like these, I like to turn to out-of-the-box inspiration. Visiting grandparents? Check out their old photographs! Something as simple as the expressions on their faces can help. I try imagining them as friends of my main character. It takes the guess work out of physical descriptions and allows you to focus on their personalities. Not sure what’s going to happen to your main character? Let a tarot card decide! Writing a fantasy novel? Let the beautifully illustrated cards from the game Dixit cards steer you in the right direction. The vibrant colors, the pictures, and the spontaneity of it all can often trigger fantastic ideas. There’s a teapot with a small crack, but you know it was well-loved. In the corner, an armoire, which would fit perfectly in an old Victorian home. Stroll around. Each object has a history, and with a little imagination, you can add that history to your story. Sometimes, wandering outside of your day-to-day routine can give a writer new ideas. During an impromptu drive about an hour away from my house, I came across a barn and instantly knew I had to have this barn in my book. Something about the way the sunlight brightened the red roof made the old building come alive. With that simple act of inspiration, an entire story evolved. No barns in sight? Taking a hike in nature or exploring a quaint town can also keep the ideas flowing. 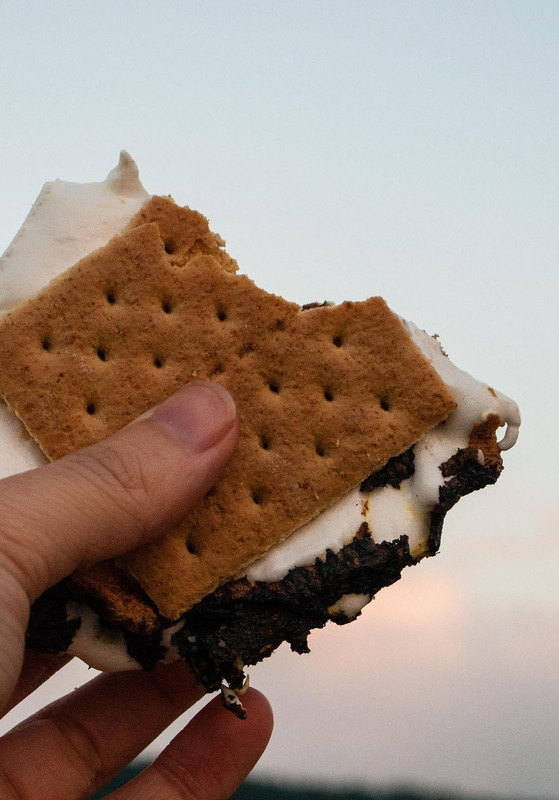 Sure, it can take time to complete some of these tasks, but isn’t our writing worth it? Do you have any great ideas for beating the writing-rut? Share them in the comments! Not too long ago, I read Beth’s post on censorship. She wrote of books that nudge our thinking, that move us. It made me think of the work that moves me… and it made me think of my mother. Mom and I both enjoyed John Grisham’s work. For me, it was my “fluff” stuff. Entertaining. Easy to read. After she read The Chamber, my mother said, “I hate that book!” I was flummoxed. I had devoured it. Loved it. “I hate it, because I ended up liking that KKK guy.” Inwardly, I smiled. Gently, I tried to explain that that’s what great writers do. They try to make the unlikeable characters likeable—at least a little. Authors (at least good ones) make it their mission to create characters the reader can relate to, in small ways, with words that fill in the gray instead of just the black and white. Reading Beth’s words made me think of the words and images that have moved me in powerful ways. Alan Paton’s book Too Late the Phalarope moved me. Probably the first novel that made my mouth gape open, wowed by the power a writer has. His novel of one family’s unraveling because of apartheid saddened me beyond measure. It’s been decades since I first read it, and I still go back and reread it. It’s that good. Hosseini’s A Thousand Splendid Suns is also a book I’ve read multiple times. Memoirs of a Geisha, by William Golden, took me into a world that was completely foreign to me… made me glad that—for the grace of God, I didn’t go there. So did the documentary Born into Brothels. Zana Briski opened up the world of prostitution in Calcutta, where girls who are barely teens have no choice but to follow in their mothers’ footsteps. All this mind-talk about moving a reader also made me think of a draft I shared at a writing retreat five or more years ago. It was a short story I’d categorized as fictional but in reality, it was all about me and it was all true garbage that was going on in my life. All bile spewed out, all black and none of the white. The editor who headed the retreat—Britton Gildersleeve—read it, and said, “I hate this character.” We had a conversation about it. Nothing about the character made Britton sympathetic. Nothing made her relate to the character. Did I have the courage to say, “That character is me”? No way. But I learned. Our job as writers is to create characters who’re painted in shades of gray. All good or all evil, all kind or all cruel… that's either boring or makes us unable to relate to them, and it’s also not what people are really like. And if we can move the reader out of their comfort zone, if we can nudge their thinking along with presenting characters our audience can connect to? 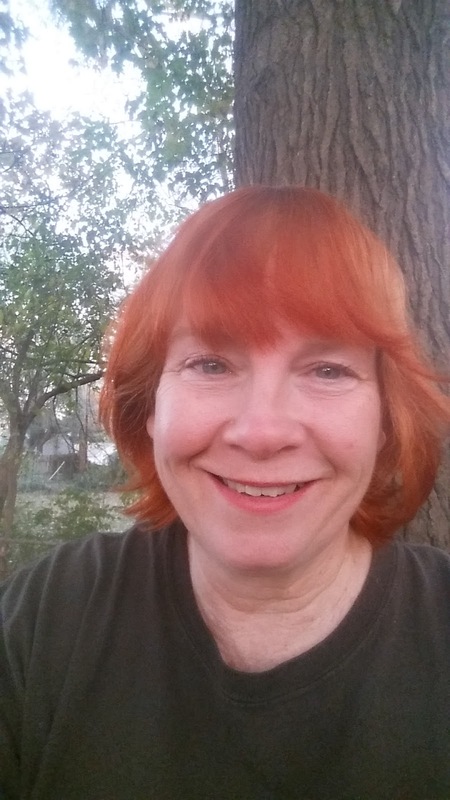 Sioux Roslawski is a writer who's humbled by the power of words. 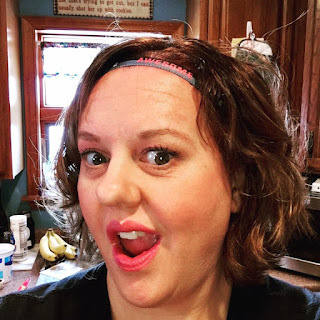 When she's not devouring a novel, she's either teaching (middle-schoolers) or parenting (not too much these days) her two grown children, or spoiling her granddaughter, or rescuing dogs for Love a Golden Rescue. To read more of her stuff, go to her blog. We are in the age of writing challenges: NaNoWriMo, PiBoIdMo, or WNFIN . Whatever you write, someone has probably come up with a challenge for it. They all seem to have these cute acronyms to go with them too! 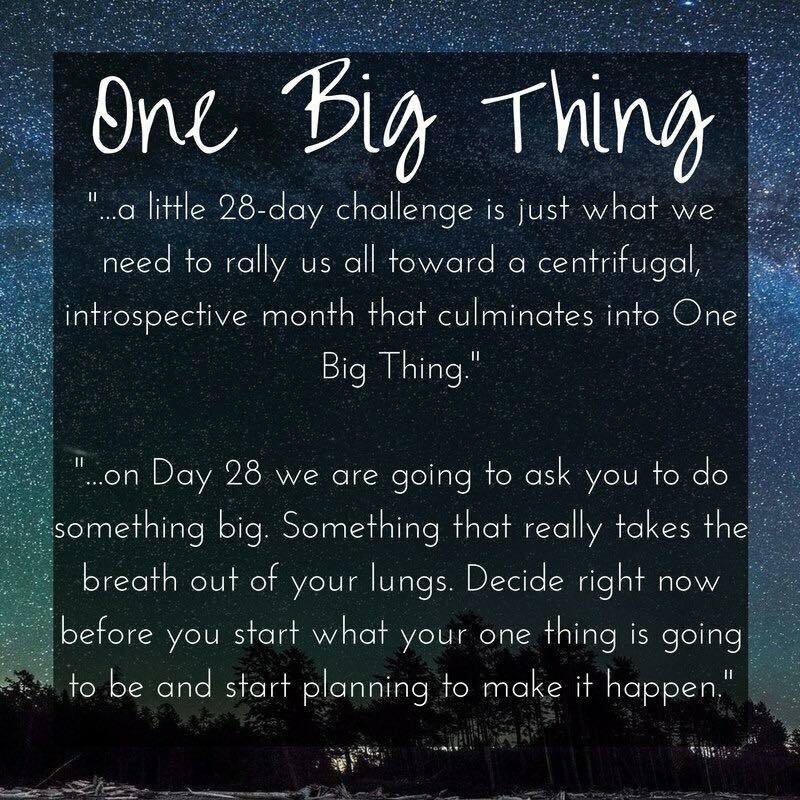 Only do a writing challenge if it fits in your writing goals/career. Would Picture Book Idea Month (PiBoIdMo) be fun for me? Of course! I love picture books. I have written one and published it, and I have written countless others. I have a six-year-old, and I used to be an elementary school teacher, but I don't want to be a picture book writer. I thought I did, but I realize now that's not true. Talk about a hard genre to break into and/or be successful in and/or be good at. WOW! It's really like poetry (which also eludes me). My point is if everyone is doing a certain challenge (NaNoWriMo), but you don't want to write a novel, don't do the challenge. It is hard and a waste of your time. Find a challenge or make your own with your writing group that fits with your career/writing goals. Don't stress out if you get behind. I will admit to you right here that I am behind on the MOPS challenge. I should be blogging one of their questions every day, but I can't seem to make it work; so I have been doing chunks of them at one time. It still fits my goal of posting more on my blog, and the questions make me think about things I want to write about. BUT I am not going to beat myself up about doing the challenge this way. I've heard a lot of writers talk about how they lost NaNoWriMo. This is because they didn't make it to 50,000 words in 30 days. Did you make it to 30,000? 10,000? Guess what? The challenge worked somewhat because I guarantee you that you have 15,000 words more on a novel than you would have had if you had NOT done the challenge. 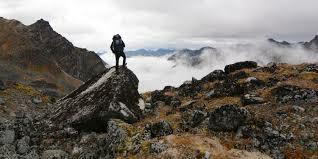 A challenge is designed to be motivating and difficult, but not soul-crushing. If you are really hard on yourself because you didn't meet the challenge, then this is not the kind of thing to put in your writing routine. Say what? Writing is supposed to be fun? (wink, wink) Yes, have fun while doing the challenge. I really think our lives are so consumed with goals and the need to make money and book sale numbers and stats and blah, blah, blah--that sometimes we forget writing is supposed to be fun. 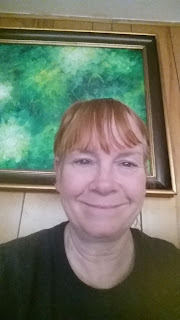 (smiles) Even if you are writing something serious, you can have fun by sharing your challenge success on social media or with your family at dinner and talking about the joy that writing is bringing to you. So, I'm sticking with this point and maybe even suggesting it's the most important one! My MOPS blog challenge is going on at margoldill.com . I'm answering questions about being a mom, but also about my darkest days, loving my body, relationships, and more. So I would love you to check out a post if you have time. And if you have taken part in a writing challenge, let us know about it below in the comments. OR if you plan to. Margo L. Dill is a writing coach, published children's author, blogger, editor, and instructor. She works full-time as an editorial assistant for a farm media company and as a mom, and part-time as a writing instructor, freelance editor, blogger, girlfriend, best friend, and writer. Find out more at margoldill.com. To sign up for her WOW! novel course, go here. 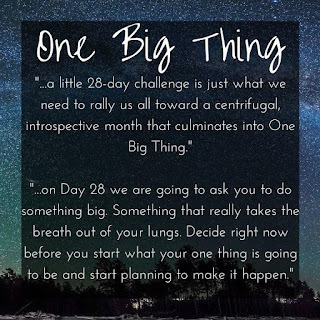 photo above courtesy of MOPS--at the end of the 28 days, we should be ready to do ONE BIG THING. As the world celebrated Valentine’s Day yesterday in one form or another, I reflected on a different kind of love affair I’ve had throughout most of my life—a love of words. I tried to think back to when that love affair first started. It must have been before kindergarten, when, according to my parents, I stumped an encyclopedia salesman by reading the word “amphibian” out loud from a text he was trying to sell us. I discovered early on the power of words in books, when authors like Judy Blume helped me make sense of the Dr. Jekyll/Mr. Hyde personalities of upper-elementary and middle-school classmates. If I had to stay home sick from school, I was fine as long as I had buttered toast, ginger ale, and a book. Somewhere in middle school I began toying around with rhyming poems (they weren’t great, mind you!) and short stories. By the time I reached high school, my friends were shaking their heads over my excitement every time we had to write a response essay to the books we read, whether it was Mark Twain or Pearl S. Buck. I loved nothing more than digging deep into the text, and exploring the underlying meaning beneath the beauty of the words. On the days I felt like an imposter walking through the halls of my high school, my gift with words helped me fit in with my peers. I felt most comfortable banging away on the keys of a typewriter. The Student Government Association contracted me to write a poem for the junior/senior prom program one year, and my words found their way into the pages of our yearbook when I signed on as co-editor. I always knew I wanted some type of career with words, and in college I found my way into newswriting. I dove into a “just the facts” mentality with my work on the campus newspaper, and continued writing poetry as a form of therapy on the days when my stress levels reached the breaking point. Through the years I’ve been humbled and grateful each time someone offers to pay me for my words—it truly is a dream occupation, even on the months when I don’t make as much money as I’d like. But I’ve noticed there’s a fine balance to being busy. Just as I’ve discovered I have to exercise several days a week for my mental health, I also have to write creatively. Right now my home life is pretty crazy with an ill family member and packing the house for an upcoming move, and I’m sad that I haven’t been able to work on a fiction project I wanted to get to. I’ll have to remedy that soon, because as in most relationships, relationships (even ones with words) require a give and take on both sides. I’d love to hear about your own relationship with words, and how you first discovered it. How do you take time to nurture the relationship with reading and writing each and every day? 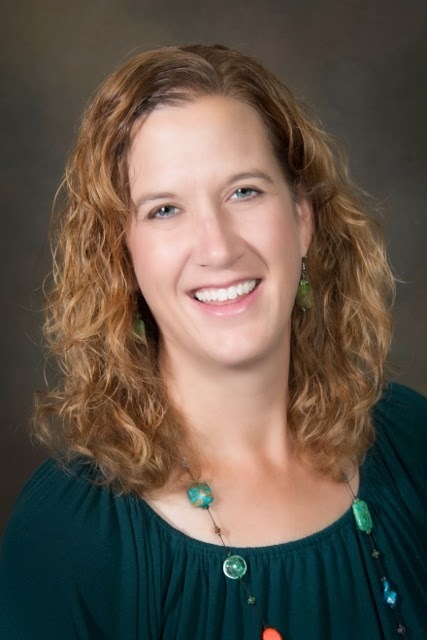 Renee Roberson is an award-winning freelance writer and editor whose work has appeared in regional and trade magazines, on parenting and health and wellness websites, and more. Visit her website at FinishedPages.com. Banged-Up Heart: Dancing with Love and Loss is an intimate and clear-eyed account of finding love late and losing it early—and of the strength it takes to fall deeply in love a second time, be forced to relinquish that love too soon, and yet choose to love again. 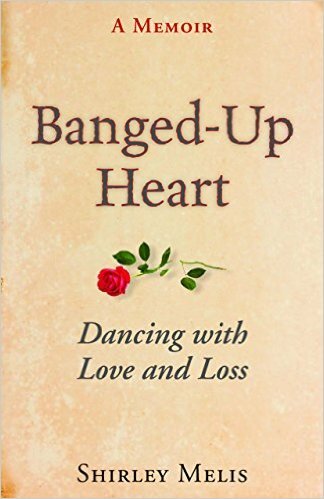 Banged-Up Heart: Dancing with Love and Loss is available in print on Amazon, Barnes & Noble, and IndieBound. 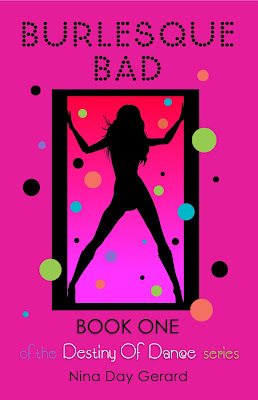 To win a copy of Banged-Up Heart, please enter using the Rafflecopter form at the bottom of this post. The giveaway contest closes Sunday, February 19th at 11:59 PM EST. We will announce the winner the next day in the Rafflecopter widget. Good luck! WOW: Thank you so much for choosing WOW! for your book blog tour. Thank you also for your time in this interview. After reading your bio and book summary, I’m sure readers are excited to learn more about you. We are all glad you are here Shirley! You had a plan to write a book about women thriving into old age – that plan changed course, but what spurred your initial plan? Shirley: Knowing I’d be in my sixties when I retired and wanting to write, I thought there’d be a market for a book like this. People today, especially women, can expect to live longer and healthier lives than their parents. Some may need role models. I like reading about women who are thriving mentally, emotionally, and physically despite growing older. 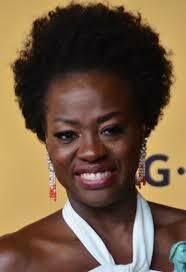 Of course, it would be important to find women whose backgrounds and passions differed from one another. And I would have to hone my interviewing skills and figure out what questions to ask. As I told Pierrette Kemoul, a literary journal editor and writer in Brittany, when John and I were guests of hers and her husband Gwenael, I like the idea of doing something that is not only challenging and interesting but also worthwhile. Now that I’ve written a memoir and have another percolating, I don’t know when or whether I’ll ever get back to my initial plan. WOW: Another percolating? How exciting is that! (But I’m getting ahead of myself.) Who was most influential in your decision to write and publish Banged-Up Heart? How so? Shirley: Like spontaneous combustion, my decision erupted not long after John’s death. I felt blindsided and had to figure out what had happened to me. Throughout my life, writing has helped me think and see more clearly. You could say it was John, rather, John’s death that triggered my decision to write. At first I was writing for myself but when a close friend said, “Shirley, other people will be interested in reading this,” I thought, Really? Then I’d better go the distance and make it worthwhile. WOW: Spontaneous combustion – I love that you use that term to describe your decision! You’re such a spitfire as my mom would say! Was there anything you wrote about that you felt a little timid including in your memoir? Were you worried about the perception of others? What helped you get past those hurdles of worrying what others might think? Shirley: Any qualms I had, and I had a few, were dashed when I started working with editor Morgan Farley, who asked questions I had to answer. The more I talked with Morgan, who is a demon for truth, and the more I wrote, the fewer qualms I had. I think age helped me get past worrying about others’ perceptions of me. I have a close friend who was appalled by my writing a memoir. “It’s too personal,” she said after reading a few pages. Another said, “Shirley, I’m so proud of you for telling the truth. I’ve spent my whole life trying to hide some of my behavior but you just come out with it.” I figure that as long as I’m not hurting someone else, I have no good reason to hold back. That said, I did change the names of two characters in my book because I didn’t want to embarrass them outright. WOW: Demon for truth huh? I seriously need to spend more time with you! You’re an awesome wordsmith. Walk us through the name of your book and the cover artwork – how did you choose them and why? Shirley: I hadn’t completed my book when I registered to attend a college reunion that would feature creative work by classmates. Realizing this could a great opportunity to promote my book, I asked a creative advertising ace to create a poster for me to display. Within days, she had everything she needed from me with one exception: a title for the book. I’d sent her a photo to use as a cover mock-up – a burned out forest with nascent green grass denoting regrowth in the foreground. But I was still clueless about a title. Hoping for an epiphany, I hunkered down with the last several chapters. I would be discussing one, possibly more, of these with my editor in a few days. In one chapter my attention riveted on a selection by writer Anne Lamott that the Rev. Kim Beach read at John’s memorial service. That’s it! I thought. Eager to share my find with editor Morgan Farley, I could hardly contain myself as I sat down at the table for our editing session. “I have a title!” I blurted. “So do I,” she said. “Banged-Up Heart,” I said. “That’s what I came up with, too.” Morgan beamed with delight. And that’s the story of how I found a title for my memoir – in time to promote it at my college Reunion. Since then, the cover has changed by the title remains. Fretting over artwork for the cover – decided the photo was too grim (two college classmates had said as much) – heeded the advice of my artist friend Lewis Hawkins who advised, “Get a pencil and paper and start doodling. You’ll come up with something.” At breakfast one morning, I shared my doodling – lightly banged-up looking letters for the title separated from the subtitle by a rose – with my husband Frank. “Here, he said, pencil in hand. “Break the stem of the rose.” I shared our doodle with friends at dinner who applauded. Why the rose? I can’t tell you. It must have been subconscious. In fact, roses frequently appear in my memoir. It was graphic artist Scott Gerber, publisher of Terra Nova Books, who turned my doodle into the beautiful cover you see today. WOW: I love the cover even more now that I know the back story – thank you! Will you be doing any public speaking in the future? Is there a plan to use your experience to help others who are grieving? Once my book is out on February 14th (anyone can pre-order now) and people have a chance to read it and react, I’ll have a better take on whether I might be able to use my experience to help others. If I can, I would like to, and I’m open to suggestions. WOW: Earlier you eluded to another memoir brewing, so do tell: What is next for you? 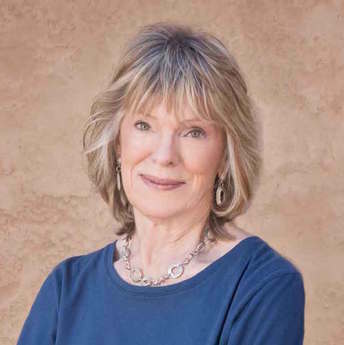 Shirley: I have another memoir in the works and more traveling to do with my husband Frank. WOW: I guess we will have to stay connected via social media so we don’t miss more of your exciting adventures. I personally can’t wait to read more of your work and I hope you’ll be back touring with WOW! for your future memoir. It has been such a pleasure! Shirley Melis is being interviewed today by Lisa Haselton. 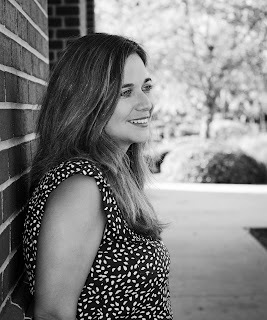 Stop at Lisa's blog to learn more about Banged Up Heart, a non-fiction, memoir, about finding the courage and strength to love again. Teacher Deb Blanchard gives insight into "Banged Up Heart" the touching memoir by Shirley Melis. 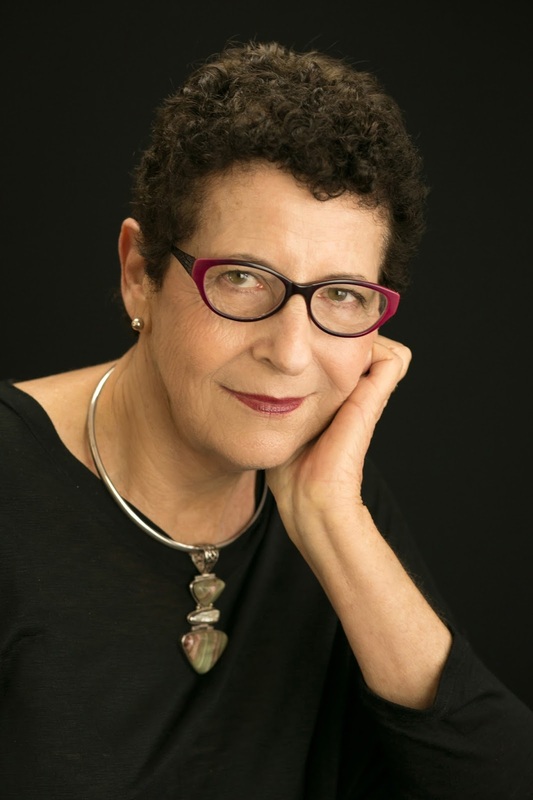 Don't miss today's interview between memoirist Linda Appleman Shapiro and Shirley Melis. 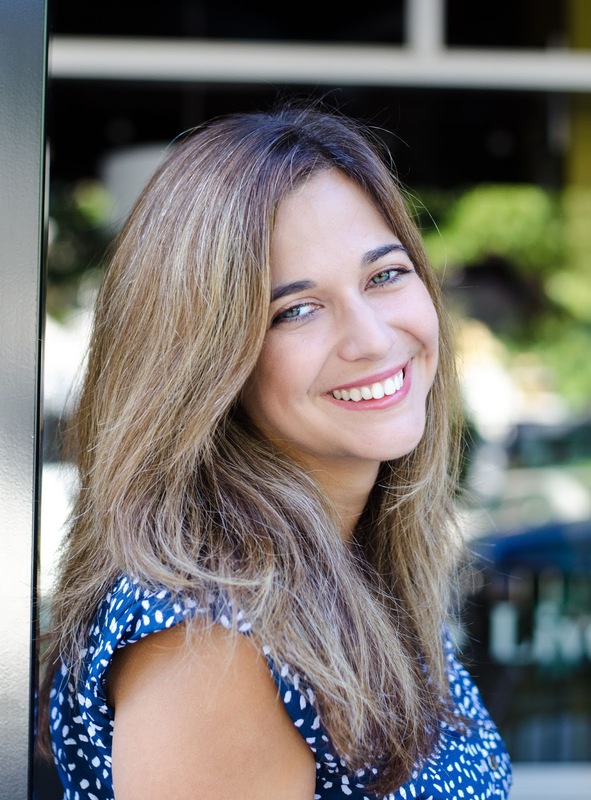 Find out more about Melis and her memoir Banged Up Heart. 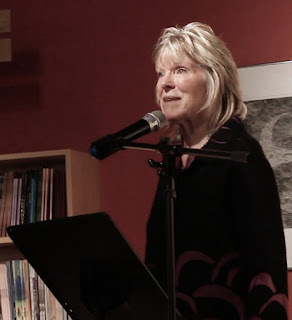 MC Simon interviews Shirley Melis about her novel Banged Up Heart for readers at Writers Pay it Forward. Don't miss this courageous memoir. Enter to win a copy of Banged-Up Heart: Dancing with Love and Loss by Shirley Melis! Just fill out the Rafflecopter form below. We will announce the winner in the Rafflecopter widget next Monday, February 20th.